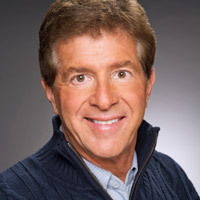 The majority of his broadcasting career has been at News/Talk 760 WJR, hosting a talk program. Since 1976, he has introduced his listeners to everyone from Presidents and heads of state to movie stars and sports celebrities and everyone in between. When he isn’t talking to newsmakers and news breakers, he’s on the road taking his program all over the world. “The Warren Pierce Show” has broadcasted live from France, England, Iceland, Italy, China, and Japan to name just a few. Warren has interviewed over 50 thousand people…and still counting. Warren brings you the real story as only he can. Hear it straight form the newsmakers, with opinion and commentary that make “The Warren Pierce Show” a Detroit original.